A group of final year Fine Art students at the University of East London invite you at attend an exhibition of their diverse art works in Battersea, South London. This is one of a group of exhibitions by UEL students that takes place across the capital during autumn every year. 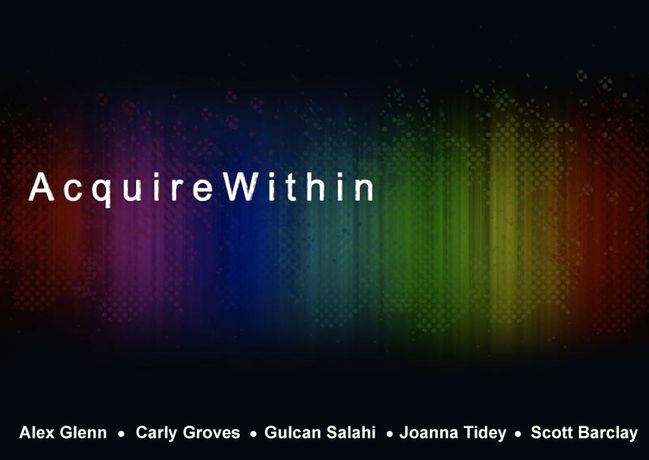 The Acquire Arts Gallery will be hosting the three day exhibition; 'AcquireWithin' which will commence on Tuesday 17th November with the private viewing opening at 6pm and running till late. 'AcquireWithin'; A collaborative expression is projected into the exhibition space allowing the artists to utilise the venues unconventional architecture to generate experimental site specific works of painting, sculpture and installation. Find attached your invite with directions to the exhibition and poster advertisement. Visit www.acquire-within.webs.com for further information.